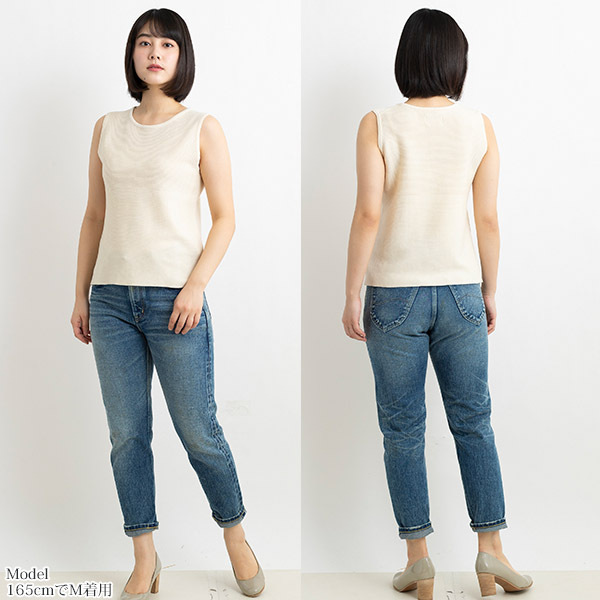 It is the organic cotton knit pearl knitting no sleeve top of fair trade Company People Tree (people tree). 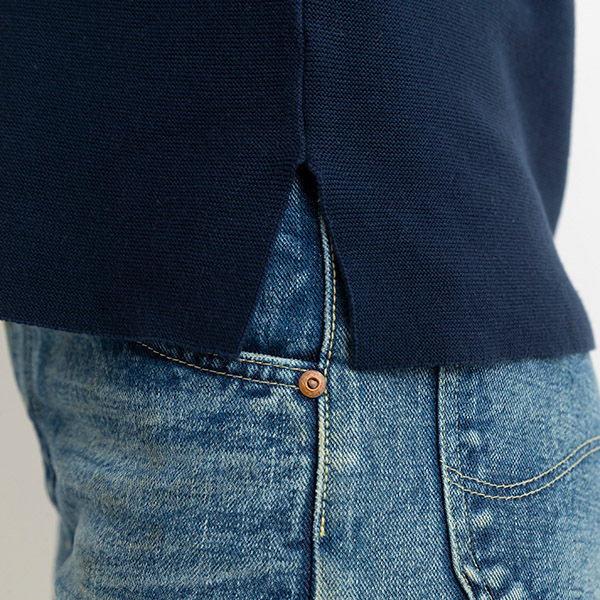 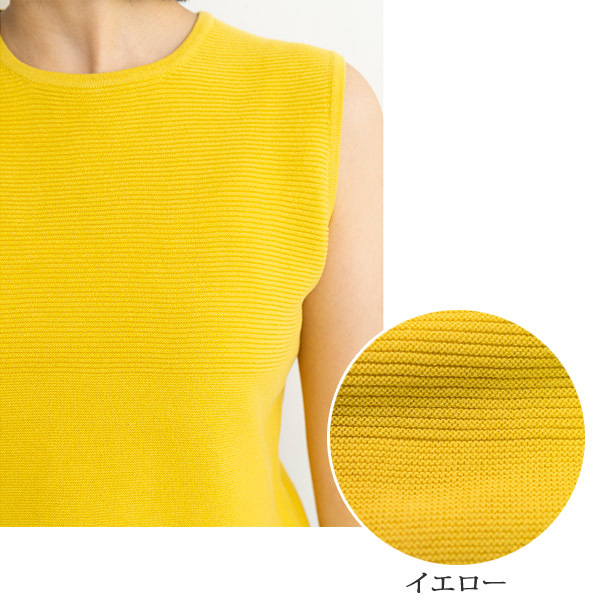 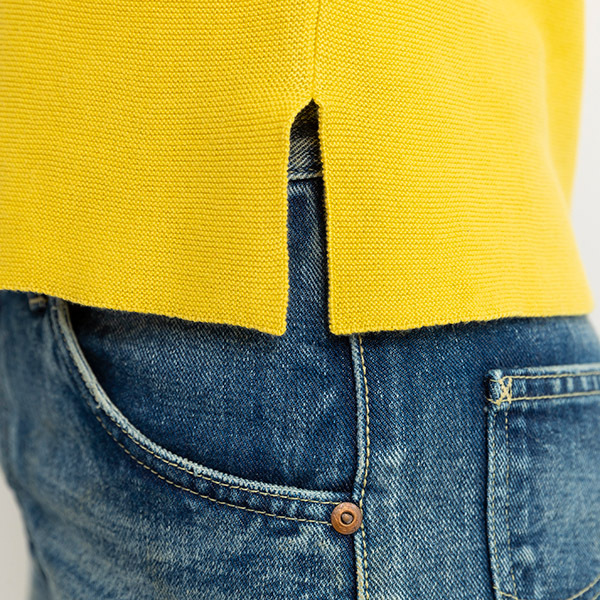 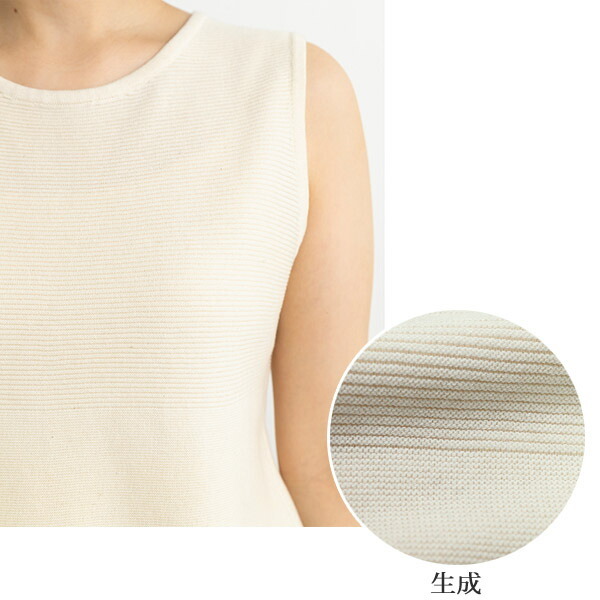 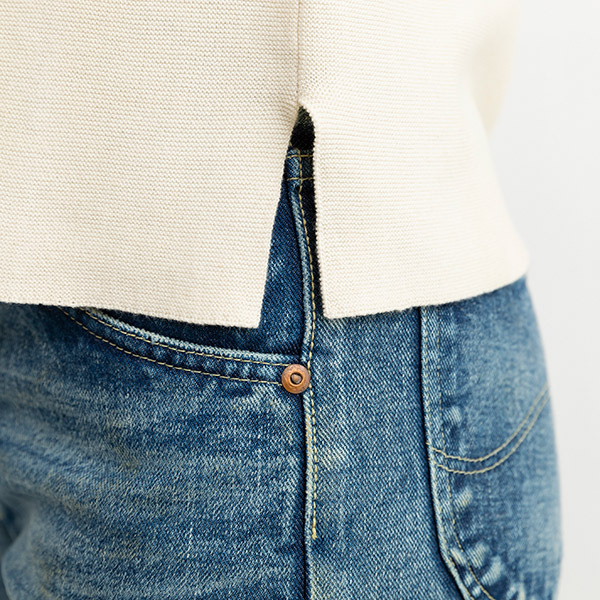 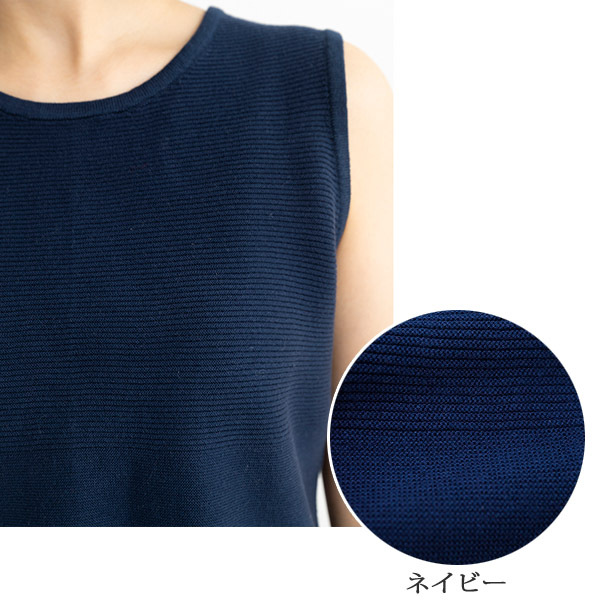 In the cool no sleeve which changed the knitting ground under a chest, it is usable as a light knitwear until midsummer. 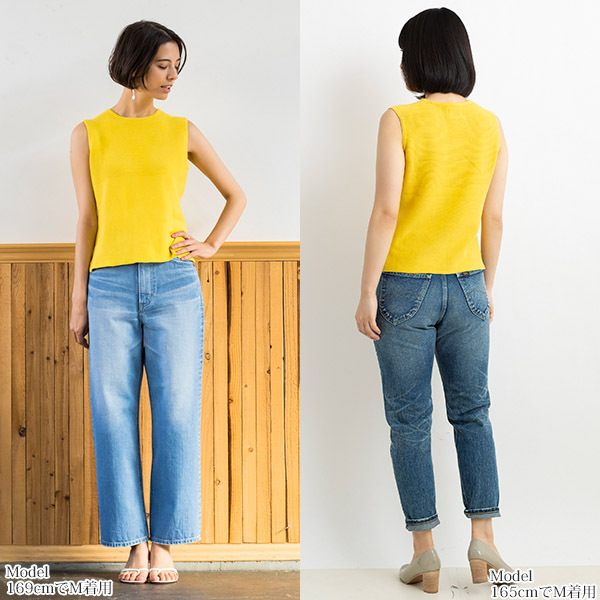 I put haoris together in the early spring, and enjoy it, and there is presence even if I wear it with one piece if sunlight becomes strong. As it is a simple design, it seems to be pleasant to put a necklace and rolled drapery together.